The wind had changed. It wasn't so sweet and warm anymore. Instead it had become colder and cutting, coarse and unforgiving. Sometimes warm days would come again, but day by day the autumn cold was getting nearer. 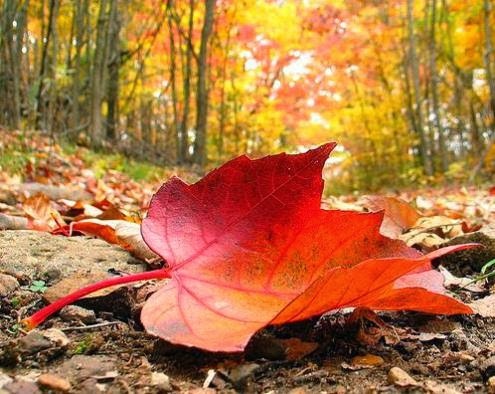 The Leaf was no longer caressed by tender sunshine and sweet summer days. Instead it felt its life force diminish as the Sun no longer touched its green skin as tenderly and lovingly as it had done in the summer months. 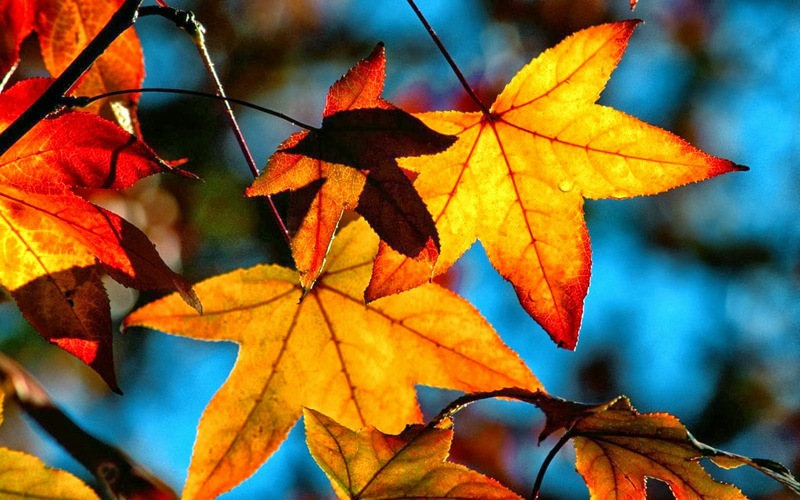 The Leaf was starting to feel old and brittle. No longer was it young and green. It had become old, its younger days had passed. Its colours had turned to the most beautiful rainbow of yellow, orange and rusty, with some shades of green forgotten here and there. It knew that this was the exuberance of its impending death, the last glimmer of a setting sun. It was like it was putting on its most beautiful clothes preparing for its departure. 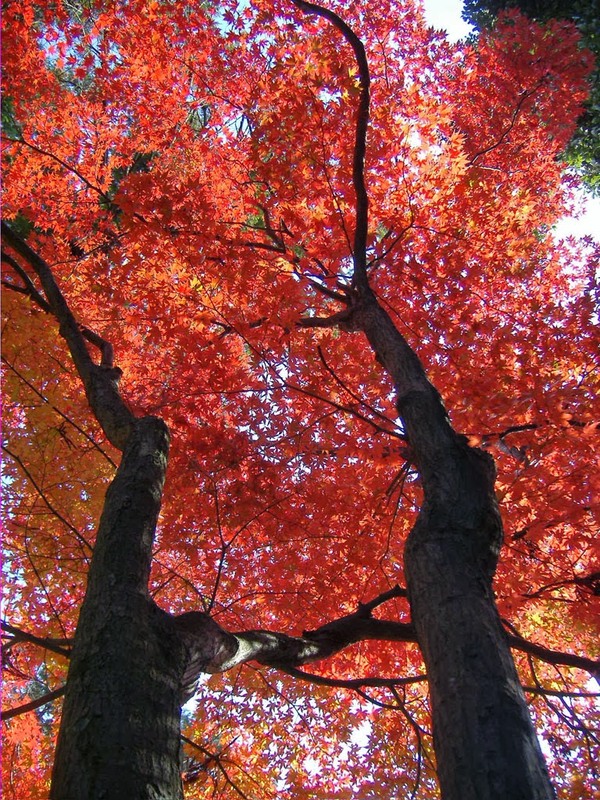 The Sun was peeking through the morning clouds with a pink-orange shimmer, and a fresh morning breeze was waking up all the leaves. Birds were chirping their happy morning songs, as the whole forest was waking up. 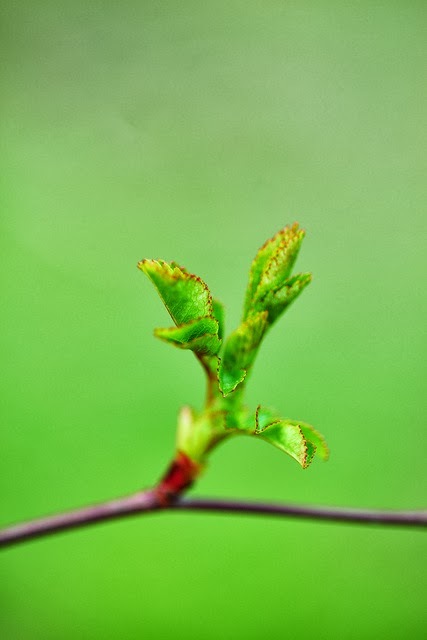 A young green leaf bud was also waking up. Its brothers and sisters were already singing their wake-up song as the wind was blowing through the trees and caressing their green bodies. The Leaf bud had had the strangest of dreams. It had dreamt about a clear blue sky, of a clarity it had never seen before, about a wind that was very different from the one it knew, and in this dream the wind had torn a Leaf from the Tree. The torn Leaf was much bigger than the leaf bud, and its colours... it had never seen such colours! As it was thinking about this Leaf blown away by the wind, it remembered feeling a strange familiarity with this Leaf it had never seen before... Well, it was only a dream, and now it was time for the beginning of a new day, as the Leaf bud was gently caressed by the Sun's warm embrace.